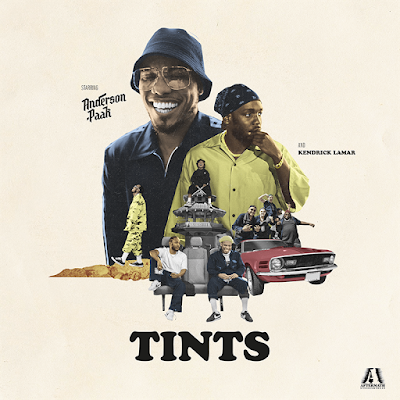 Anderson .Paak has shared the first official single titled "Tints" feat. Kendrick Lamar from his forthcoming album Oxnard set for release via Aftermath Entertainment exclusively distributed by 12 Tone Music. Produced by Om'Mas Keith & Anderson .Paak, the track is a precursor for what is to come in anticipation for the album from the Grammy Nominated recording artist, producer, and multi-instrumentalist. Anderson will also be playing a benefit show for Mac Miller for the 'Mac Miller Circles Fund' on October 31st at The Greek Theater in LA.